Highly Collectible Original Acrylic On Canvas Hand Signed By The Artist. This Piece Is Stretched And Ready For Framing. This Investment Artwork Comes With Certificate Of Authenticity. 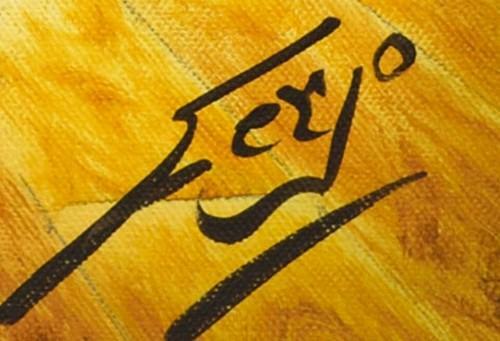 Ferjo (B. 1946 - Fernando De Jesus Oliveira) Is Brazilian, But Lives In The U.s. Now. A Master Of Many Different Styles, He Has Become Known For His Work In Surrealism. Dali And Magritte Would Be Proud Of This Follower Of Theirs. 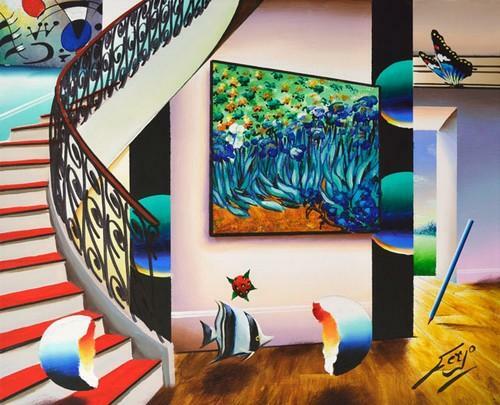 Whether He Is Painting A Room Interior, Complete With Floating Objects, Or A Marina Scene. His Use Of Colors And Lines Is Flawless. His Work Is Permanently Displayed At The United Nations.